Some might think that because someone is a Christian, that they won't have bad days. This is simply not true. Too often, people assume that Christians should always be in a good mood. However, there will be days that a Christian is in very low spirits even when striving to be faithful and passionate. It is completely normal for a Christian to feel this way at times. Life is not perfect and neither are Christians. We can't always be happy and outgoing. When we have those low times in our lives, this is when Christians need to have a Spiritual Reset. Sometimes it is as simple as opening your Bible and praying to the Lord for direction. Maybe you are being dragged down by hardship, and Encouraging Bible verses can help. While turning to the Bible daily is normal, keeping up with a daily devotional or journaling daily with the Word keeps you on track, focused, and you might just get a perspective you weren't thinking of to reignite your spiritual fire inside of you. Often, by being there for someone else who is in need or feeling down, whether family, friends, or fellow church members, you can lift yourself up. PureFlix has some very inspirational Christ-Centered Movies to lift your spirits. I hope that you find these tips to be beneficial for you. 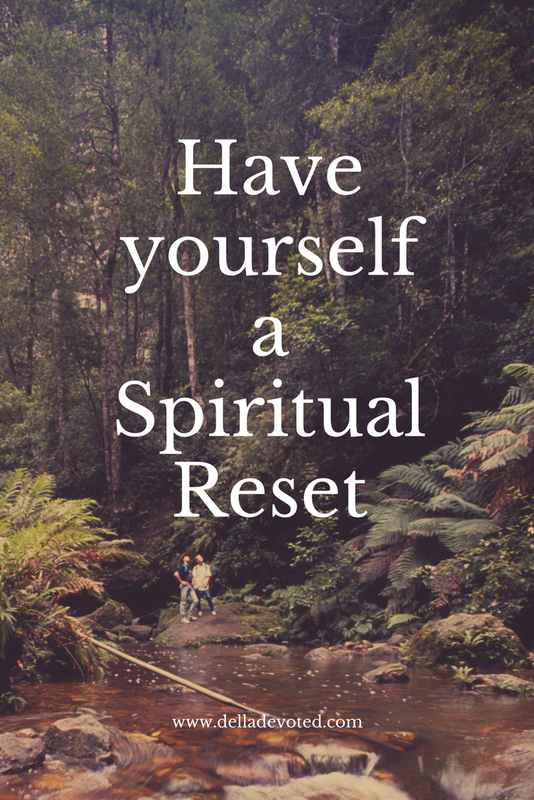 A Spiritual Reset is much needed for Christians so that we can strive to do the work of Christ to our best abilities. God needs us to be on top of our game and if we need to take a reset, then that is perfectly okay. God wants his followers to be happy and healthy. We can't give God or anyone else our best if we aren't at our best.